Emil Ferris’ graphic novel Monsters topped a diverse slate of 2017 Ignatz Award winners. Emil Ferris, having brought exquisite craft to her debut graphic novel at age 55, brought extreme gratitude to the stage over the weekend, as she was twice honored at the 2017 Ignatz Awards in suburban Washington. “Shame on SPX and a whole lot of cartoonists ... you made an old lady cry,” Ferris told the Post shortly after scoring her twin wins Saturday evening at Small Press Expo, whose attendees vote on the nominees for the Ignatz, which salutes excellence in indie comics. 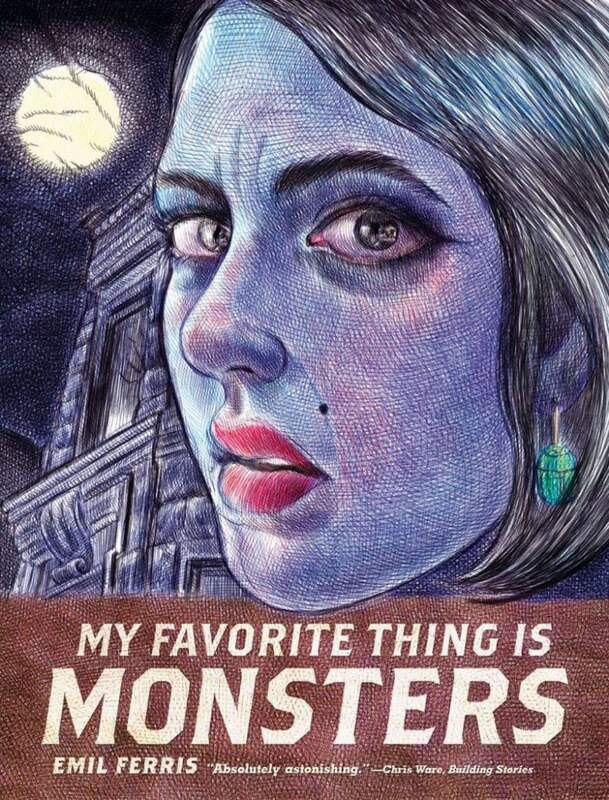 Ferris, a Chicago-based artist who recovered from paralysis at age 40 to devote years to her first book, My Favorite Thing Is Monsters (Fantagraphics), emphasized how her graphic novel, while a deeply personal work, represents a collective victory. The work was named outstanding graphic novel, and she was honored as outstanding artist. Ferris was part of a diverse slate of Ignatz winners and works that included Ben Passmore, whose Your Black Friend was voted outstanding comic, as well as outstanding anthology winner Elements: Fire – An Anthology by Creators of Color, which was edited by Taneka Stotts. The Ignatz Awards, as presented by SPX at the North Bethesda Marriott Hotel and Conference Center in Maryland, was celebrating its 20th anniversary. The Ignatz “brick” award nodded to George Herriman’s legendary comic Krazy Kat, and jurors Neil Brideau, Glynnis Fawkes, Sara Lautman, Trungles and David Willis determined this year’s nominees.